An app all redheads should have! Redheads are genetically more susceptible to getting skin cancer because we carry what’s called the MC1R gene. 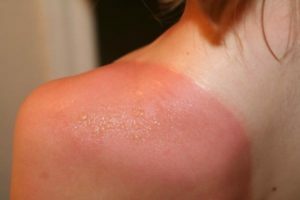 According to the Skin Cancer Foundation, one in every five Americans will develop skin cancer in their lifetime. The World Health Organization reported between 2 and 3 million non-melanoma skin cancers and 132,000 melanoma skin cancers occur globally each year. What can redheads do to reduce the risk of skin cancer? 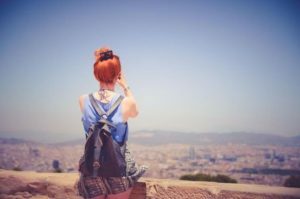 Since redheads are more prone to developing melanoma, this means we need to exercise caution when out in the sun. We can do this by seeking shade when possible and wearing sunscreen (re-applying every two hours! ), a wide-brim hat, sunglasses and UPF clothing. 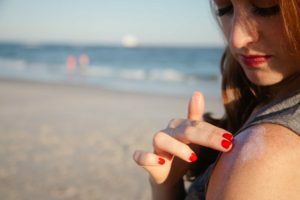 However, with skin cancer rates continuing to rise, we may need to consider taking further action. As well as being sun safe, early detection is the best defense against skin cancer. Most skin cancers can be cured if detected early. The survival rate for the potentially deadly melanoma caught at the earliest stage is over 99%. So, regularly checking the skin for changes in the skin is highly recommended. About once a month, it is recommended by experts to check your skin for new or changing moles or marks. In adults, about 70% of melanoma cases are not associated with existing moles but form as new marks on the skin. Any changes to existing moles can be a concern, but it is also important to look out for growing sizes, changing shapes, new colors, bleeding, painful, crusting, red around the edges or itching. How can you keep tracking of your skin markings? Effective, regular self-monitoring can be difficult, especially if you have a lot of moles. That’s where new app technology offered by Miiskin can help. Miiskin helps you to track your skin and moles for changes over time by using photos to create snapshots of your skin and moles’ appearance. It also helps you to compare photos taken over time. Miiskin will also help you routinely check your skin for changes with convenient reminders. The app works in partnership with leading skin and cancer charities around the world including the British Skin Foundation in the UK and CANSA in South Africa. Note: Miiskin does not diagnose skin cancer or tell you that you are at risk or not. The detection of skin cancer is far from simple and should only be undertaken by qualified doctors –– not apps. 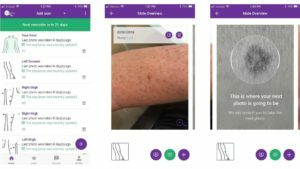 However, the app simply helps you to track your skin for changes, so that you can decide to seek medical help if you spot concerning changes. Miiskin is free to download at your app store, and a free trial to their premium subscription is currently available. The premium subscription allows you to securely backup your photos, take photos of your skin as a whole to watch out for new spots and allows you to access your photos from any device to allow you to better compare your photos side by side on a big screen. The premium version comes with a 30-day free trial, so you can easily try it out before you need to pay. Keep this app handy, redheads and rock your red hair! This article was paid for by Miiskin and all opionions of How to be a Redhead’s are true.